This image depicts the SystemStar Window with the Drivers & Size notebook tab selected. The SystemStar Window always display the parameters and settings pertaining to the current estimate and current component. Note that the arrow buttons on the component toolbar are one way to navigate the hierarchy of components you create. 1) Click the related button (e.g. 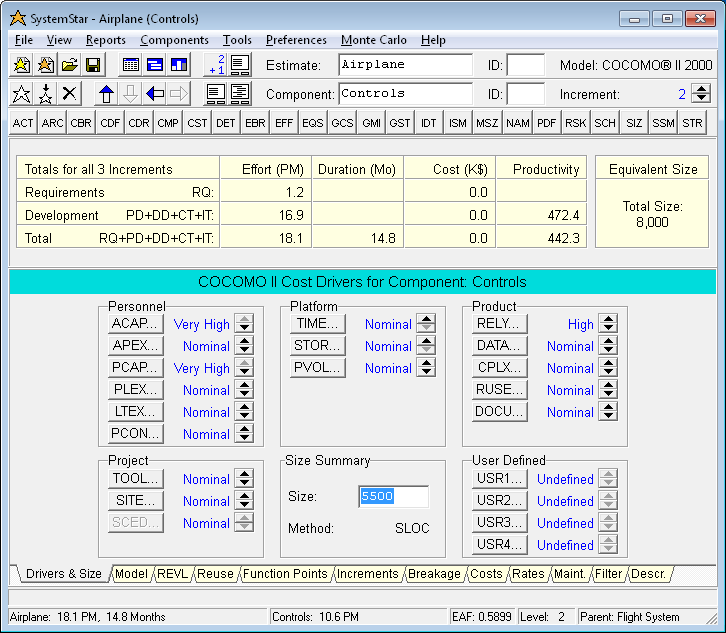 "ACAP...") to use the Cost Driver Editor. 2) Click the up arrow or down arrow on the spin button.